This church is situated in Annunziata's place near the Cathedral. 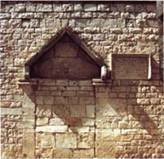 It was built in 1937 and we can see this date in the gothic inscription to the right of the ancient portal (on the current Via S.Caterina). In 1758 the church was restored and embellished with a baroque portal and then it was again a place of worship. The Church of SS.Medici's is situated near the Clock Tower. It dates back 1293 and it was initially knew as the Church of S.Maria and S.Luca. This last name can be tied to the veneration of Virgin Mary's ancient fresco, ascribed to S.Luca. In 1952 the bishop Aurelio Marena moved in this church the statue of SS.Medici and for this reason the church now is called “Chiesa dei SS.Medici”. 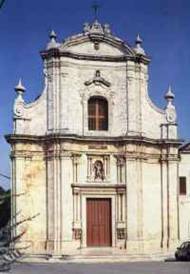 S.Rocco's worship in Ruvo di Puglia dates back 1502, when the town was free from a terrible plague thanks to the Saint's intercession. In fact the plague disappeared and Ruvo's citizen built a churh as devotion of S.Rocco. In 1645 this church was completely restored thanks to the money gathered from two noblemen of Ruvo. In 1576 the homonymous confraternity was born. 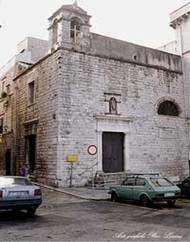 Before 1643 the current church had only one aisle and it was called the Church of S.Cleto because in the underlying part there was a crypt traditionally called “Cave of S.Cleto”. In 1643 it was added another aisle. As a consequence of the devotion for the Purgatory's souls, the religious building was called “Chiesa del Purgatorio”. 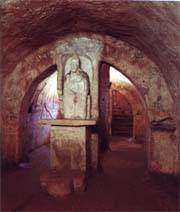 In the Church of Carmine’s archive there is a precious document called “Platea”, which refers that in 1500 in Contrada S.Vito's the ancient Church of S.Vito Martire was built. 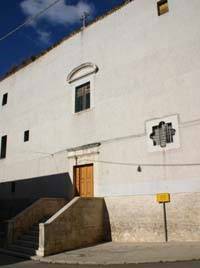 In this document, you can read that in 1613 this church was provided with a high altar, where there was the effigy of Madonna del Carmelo. This church was rebuilt and dedicated to the Madonna del Carmelo. In 1604 a little group of Ruvo’s inhabitants created the Confraternita del Carmine. In 1560 the Church and the Convent were built with the name of SS.Regina del Rosario and they were closed to worship in 1809. 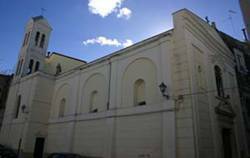 With the decree of Ferdinando I, in 1821 Padri Scolòpi started their mission in the “Domenicani’s Convent and Church”. The convent was the seat of “Scuole Pie” where the Scolòpi organized a seminary. In 1866 the convent became a public school of the town. 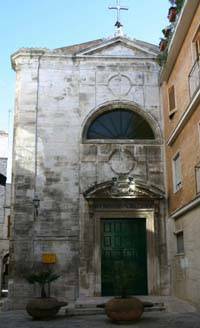 In 1777 the “Confraternita della Purificazione Addolorata” was founded in the ancient Church of S.Carlo and in 1810 it was transferred in the Church of S.Domenico, where it is today. The Church and the Convent of S.Michele Arcangelo are situated in an ancient settlement which probably was attended by monaci basiliani (from the East). 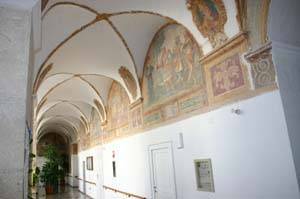 We had information about the Convent and the Church in the fifteenth century, when Gabriele degli Orsini, lord of Ruvo, asked the Pope Nicolò V the authorization of restoring both the convent and the church. 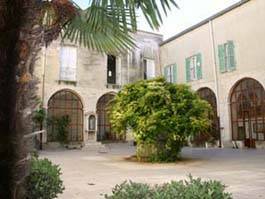 The Pope agreed this request and the convent, restored thanks to the money of Ruvo's inhabitants, was entrusted to Frati Minori Osservati. After about one century, this church fell down and was rebuilt in 1744. The ancient convent is now the seat of the Rest House of “Maria Maddalena Spada”. In the quadrangular cloister, there are some lunettes with frescos of baroque style. From a memorial inscription we know the Church was founded in 1607 thanks to the bishop Giuseppe Saluzzo (1604-1621). It was dedicated to S.Maria Maddalena on 23 October 1677 by the bishop Domenico Galesio. According to Lojodice, a known local historian, the Convent of Cappuccini was built before the Church, dating back 1583. 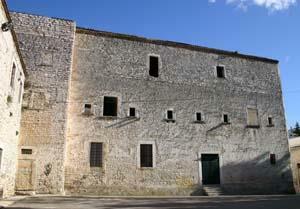 In 1809 Frati Cappuccini were expelled from Ruvo di Puglia, but the definitive suppression of the Convent was in 1861. After the Church passed under the Clero Diocesano jurisdiction, becoming parish with the name of S.Filomena and S.Lucia in 1925. 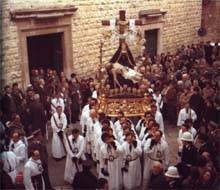 When the name of S.Filomena was removed from the calendar, the priest of that period decided to remove the Saint's Statue from the Church. In this way the name of the parish became “Chiesa di Santa Lucia”. In 1886 the bishop Bruno had the idea of building a church dedicated to “Jesus Reedemer”. But his wish remained only a project. At the beginning of the twentieth century, the bishop Berardi showed the same wish of Bruno to build a church for the Reedemer. It was the Jubilee Year (1900) when the bishop Berardi put the first stone. This church is situated near the Castle of Ruvo di Puglia and was opened to the public in August 1902. The Church of S.Giacomo was built in 1869. The Archive documents testify the existence in the seventeenth century of an ancient church, dedicated to S.Giacomo Apostolo. In 1762 this church fell down and was rebuilt and consecrated on 24 October 1869.